the signature hotel of the Reef Diving Group, offers a unique homely atmosphere that appeals to anyone searching for reasonably-priced, good sleeping accommodation. 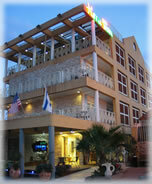 Blue Hotel is especially aimed at scuba divers, surfers, water sports enthusiasts, cyclists and anyone seeking a pleasant atmosphere and an inexpensive inn to rest for the night. 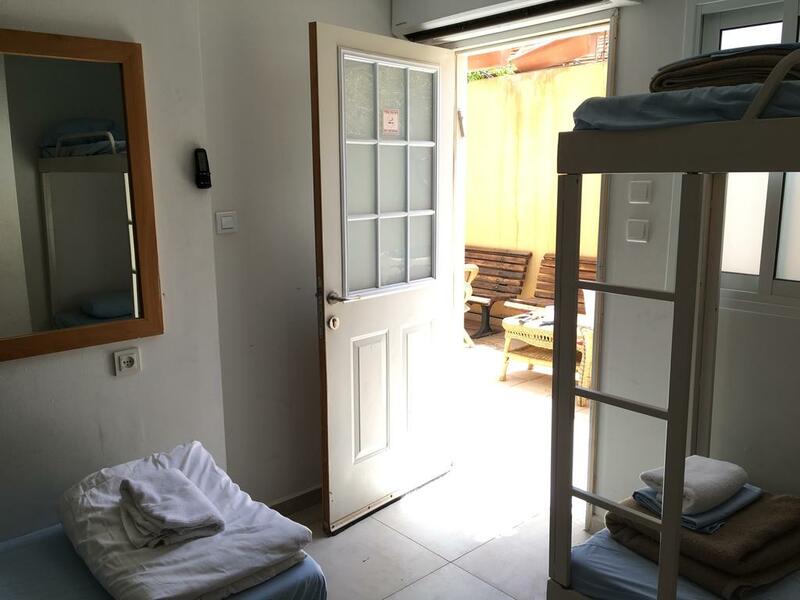 Location: Blue Hotel is located in Simtat Ofarim - a quiet side street adjacent to Sderot Hatmarim, which is the main street of Eilat - only a few minutes walk away from Eilat’s central bus station and the sea. Regular season - up to 3 business days before arrival. In July-August - 7 business days prior to arrival. On holidays - up to 14 business days prior to arrival. After this date, or in case of no-show, a one-night cancellation fee will be charged. Standard Twin renovated standard room with 2 single beds fridge,electric kettle ,t.v free WIFI. modern renovated shower room. located 4th or 5th floor. 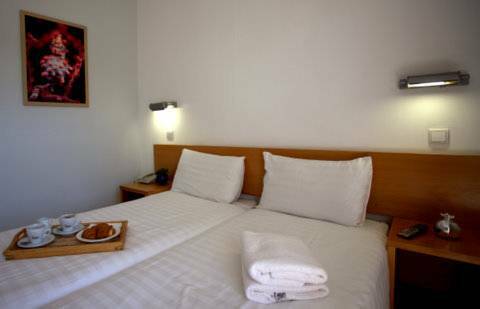 Standard Triplerenovated standard room with 3 single beds fridge,electric kettle ,t.v free WIFI. modern renovated shower room. located 4th or 5th floor. 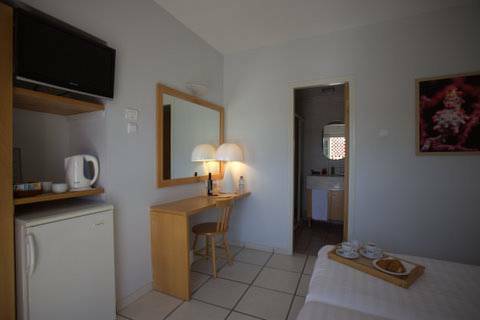 Basic Twinbasic room with 2 single beds fridge,electric kettel ,tv,free WIFI . located at the ground floor or at the 1st floor above lobby.